Every real estate exit strategy requires an investor to procure a subject property (or contract) with the prospect of selling it. Transactions must be completed on several platforms for an investor to retain profitability. Each step is equally important in a real estate investment deal. However, all too often investors focus the majority of their attention on the acquisition and fabrication of a property. While critical, these phases are not to overshadow the process of selling a house. Building a buyers list can help you sell a property faster and is ultimately conducive to the bottom line. Therefore, building a buyers list should be a priority for any serious investor. Despite the recent demand for property, selling a house is an intensive and complex process. 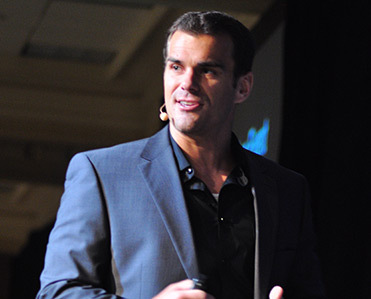 A proper sales technique, in association with a performing buyers list, can result in higher yields. Investors are advised to familiarize themselves with the selling process as a whole. While seasoned investors are familiar with the intricacies that accompany this phase, those new to the industry may require a bit of advice. The most important step you can take towards selling a property is building a buyers list. Trust me when I say that nothing is more stressful than having an offer accepted, only to be scrambling for a buyer when your time is required elsewhere. Building a buyers list will ensure that you have several high quality buyers at your disposal, essentially mitigating the risk of losing profits. Remember, the bigger and better your buyers list is, the faster you will sell your properties. Through this guide, you will not only learn how to build a list of good, quality buyers, but we go over ways you can build relationships with that list and effectively market your proper- ties to them. Remember, your list of buyers is critical to the success of your business, place it atop your priorities on a daily basis. 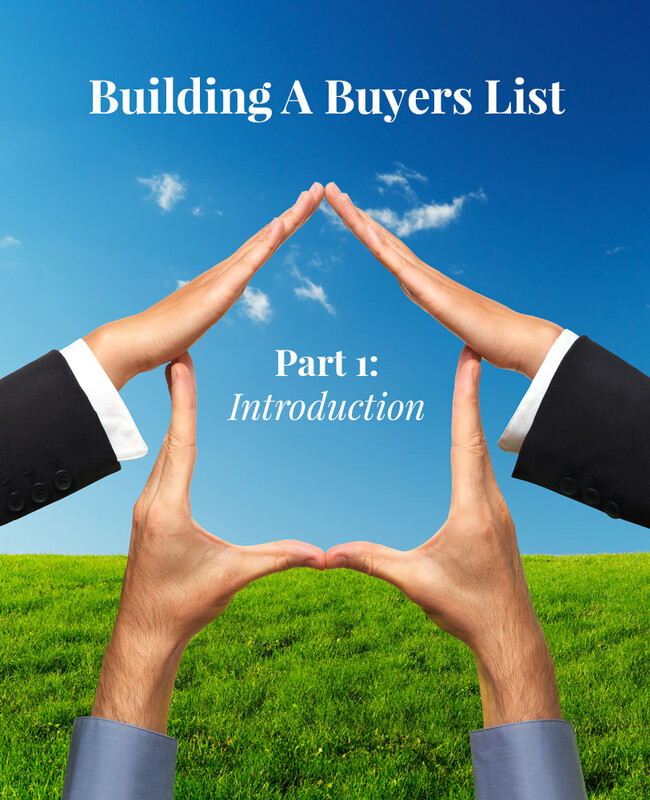 What is a Buyers List? As alluded to by its name, a buyers list is a compilation of investors that you have previously established a working rapport with. Accordingly, a well-devised buyers list contains the contact information of people that may serve as potential suitors for your subject properties. It is essentially a list of buyers you should contact immediately, as to carry out the final phase of your particular exit strategy. Having an extensive buyers list at your disposal dramatically increases the prospects of a timely and profitable transaction. As an investor, it is absolutely critical to foster the growth of your buyers list. Treat it as a separate entity that must be attended to on a regular basis. Subsequently, you should continually grow your list of quality, even in the absence of a sellable property. A buyers list that is awarded careful attention is critical to the success of a respective investor. However, simply having a list is not enough to facilitate the sale of a property. You must implement a plan of attack, with the buyers list as your focal point. As soon as you put a property under contract, you should devise multiple marketing strategies aimed at the buyers on your list, to sell your properties quickly. The power of networking is a critical component to the success of any seasoned investor. As you may already be aware, the real estate industry is one in which relationships represent a top priority. Who you know is as important as what you know. Place an emphasis on establishing a working rapport with everyone you come into contact with. Every aspect of real estate requires the collaboration between individuals. Use this to your advantage. Networking opportunities are seemingly endless, as they are only limited by your imagination and willingness to interact with those around you. Accordingly, networking is a fundamental aspect of developing a quality wholesale buyers list. You must place the aspirations and desires of prospective buyers above yourself in order to fulfill the criteria of a useful buyers list. This means that in order to build a valuable list, you must prioritize their needs ahead of yours. Doing so will likely result in buyers with a willingness to purchase from your inventory. Networking With Industry Professionals: Meeting with other professionals in the industry will inevitably grow your buyers list. Contractors, investors, realtors and others familiar with the housing sector have the ability to assist you in your selling endeavors. Attending Networking Events: Attending local networking events will allow you to personally make beneficial connections. Make everyone aware that you are actively participating in the real estate industry and seek out those with similar experience. Remember, real estate requires the establishment of relationships. Hosting An Educational Event: It is critical that you seize every opportunity to build relationships, generate goodwill, and earn the trust of your potential buyers. Therefore, hosting an educational event will give potential buyers a chance to understand your working knowledge and personality. Capture EVERYONE: Take the opportunity to add anyone to your buyers list that is even remotely interested in real estate. While they may not be ready to acquire a property now, their business could be helpful down the road. This, in particular, can lead to several referral possibilities. As perhaps the most valuable, quantifiable asset to any real estate investor, continuously expanding a buyers list is absolutely critical. It is important to continue adding prospective buyers, even after a substantial foundation has been established. You must not only maintain current relationships, but you must develop new ones as often as you can through the use of specific marketing campaigns. Having successfully collected several promising buyers is a good start to building a buyers list. However, navigating through those that may actually prove to be beneficial to your future is a skill in itself. Develop a systemized approach to evaluating and pre-screening potential buyers. Doing so may eliminate dead-ends that inevitably cause you to waste time and money. Gather as much information about a prospective buyer as you can. This assures that you are not wasting your time on buyers who are not absolutely serious or don’t have sufficient means to close on future transactions. Building a buyers list is about quality. While quantity may have its advantages, it is beneficial to have a list of buyers that you trust and know are willing to follow through. Once you have developed a buyers list, it is equally important to organize it in a manner that further facilitates the possibility of a timely and profitable transaction. To do so, store your contacts in a database system that will help you manage each of them independently. The idea is to have the appropriate buyer readily available when you require their assistance. An unorganized list is capable of doing more harm than good. Essentially, you do not want to waste valuable time on investors that are not likely to involve themselves with your current project. Spending all of your time preaching to the wrong buyers will ultimately lead to a loss of funds. Remember, it is increasingly important to maintain your list of buyers. Building a buyers list should continue throughout your entire career, adding and dropping when necessary. Those that take the time to nurture their buyers list will inevitably reap the rewards of persistence and hard work. Closing on deal will almost be as simple as making a phone call or two.